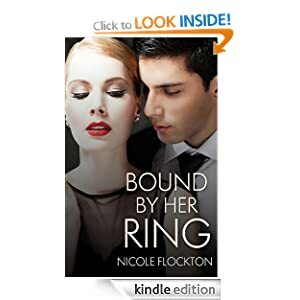 Bound by Her Ring. Nicole Flockton. So, why didn’t it work? Well, I love a romance and from the description this sounded perfect, but I need drama in my reading, lots of soaring highs and plummeting lows. I need a novel to be like a race along a winding, hilly, road up a mountainside, moments when your heart is in your mouth and you’re struggling to breathe, when you look at the drop down the side and it terrifies you, where you wonder if you’re doing the right thing taking this risk, but when you get there the view from the top is perfect, and makes it all worthwhile. What this novel is though is a sedate amble along a 10 MPH driveway, with a few very gentle speed bumps, so carefully placed you barely feel them. That about it – the story and writing is fine, very sweet but just not enough drama to hold my interest. There were times when I wanted to say to both Luciano and Jasmine “come on- really? Is that the best you can come up with?” as their actions and conversations stretched my credulity…. Still, maybe you want that gentle, easy to read, romance. This may be just your sort of read – it just isn’t mine. It’s priced at £1.89 for 152 pages. Stars: two – just not my sort of read but that personal taste not reflection of book quality.